Author Ron D. Voigts: Coming this Summer!!!! Romanian folklore tells of the Strigoi, a creature who once was a man that died and rose again to become the undead. The Strigoi is a shapeshifter, capable of taking on the form of another man or animal, a favorite being the wolf. This being needs to drink human blood to survive. 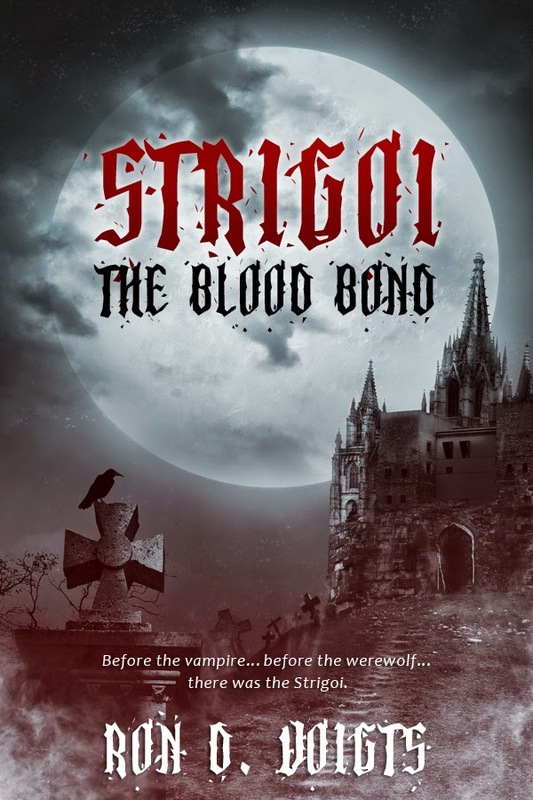 The Strigoi became the basis of vampire and werewolf tales, including the most famous Dracula by Bram Stoker. In 1792, Nikola Choroleeva emigrated from the city of Sighetu Marmației near the Carpathian Mountains to the Americas and founded a secret colony, hidden in the mountains of Appalachia, comprised of followers who offered their blood for his nourishment and he in return gave them eternal life. Being infected with the malady as him, they became the living Strigoi. Impervious to old age and disease the members of this society from time to time die by accident or murder. By Lord Nikola’s edict, they are staked through the heart and buried to keep them from coming back as the dead Strigoi. When a citizen is lost, a replacement must be found. To this hidden world an unwilling Alex Regal was brought as a replacement.